It goes without saying that for any car enthusiast with a brand preference, (let's be honest, we all have one in some way or another) the rare and odd-ball models and versions of our favorite cars are the ones we lust after. Perhaps it's a car that came in a unique factory color, or there's a chance it came with special body cladding. Maybe it came with a model-specific engine or perhaps it isn't even stock at all, but rather an aftermarket modification that reigns supreme as the ultimate in rarity and uniqueness. In the BMW world, the options are endless. Alpina, Schnitzer, and Hartge cars alike all hold a resale value that leave you scratching your head, wondering when you'll ever be able to justify such a price for a car older than yourself. Companies like Baur are known for their drop-top conversions, taking standard BMW models and making something entirely new out of them. However, the car above takes the cake. There are two types of people out there: those who love wagons (or estates, for those across the pond, or Tourings if you're BMW-specific) and those who think they're for moms. For the latter, there's no saving you, bless your soul. But if you're like me, you can't help but love cars with four doors and a rear hatch. Yet few wagons truly seal the deal; their body lines tend to feel as though they're an afterthought, that it's merely an adaptation of its sedan or coupe counterpart. 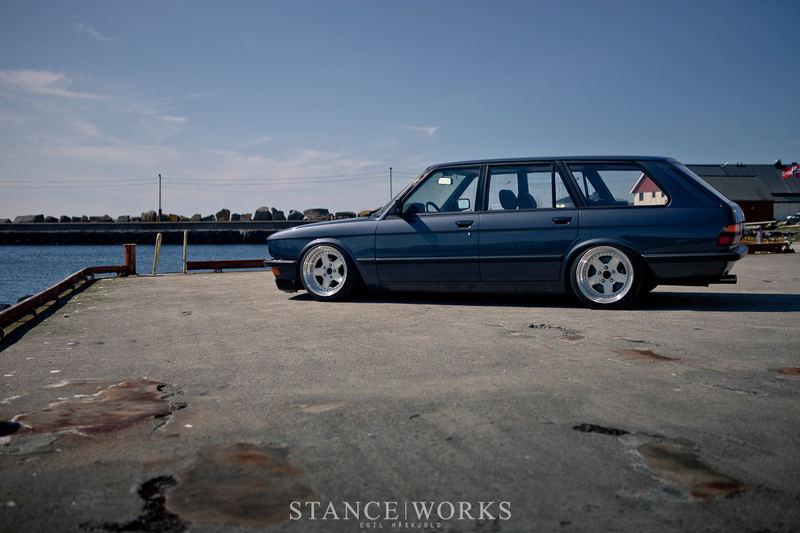 If you ask me, the E30 wagon is one of the best looking options out there, along with MX73 cressidas, and for the current generation, Audi Avants. However, you also might agree that none of those cars, despite their possession of a rear hatch, come close to the classic styling of the E28 sedan (and yes, I know that's entirely subjective, R3v and Audizine!). Fortunately, among the companies that make interesting BMW adaptations is Schulz Tuning, and they made what is, in my eyes, quite possibly the greatest BMW out there. 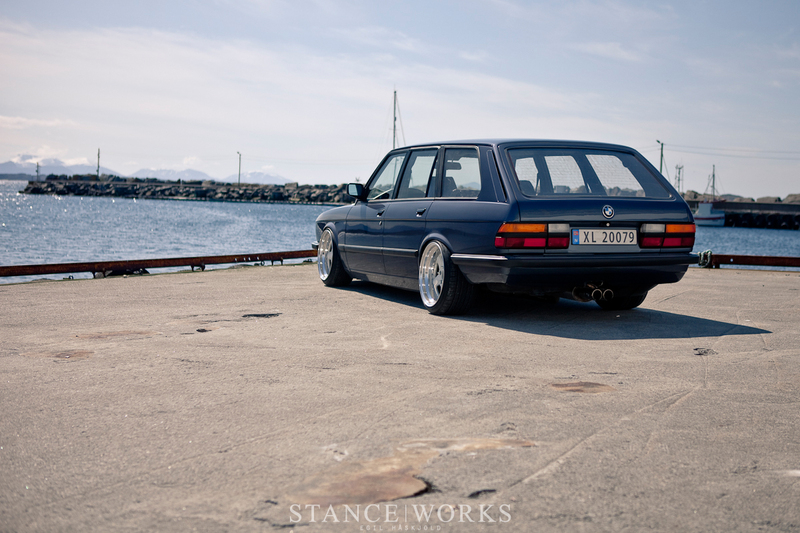 Halfdan Vatn's BMW E28 Touring might be my favorite car on this planet. 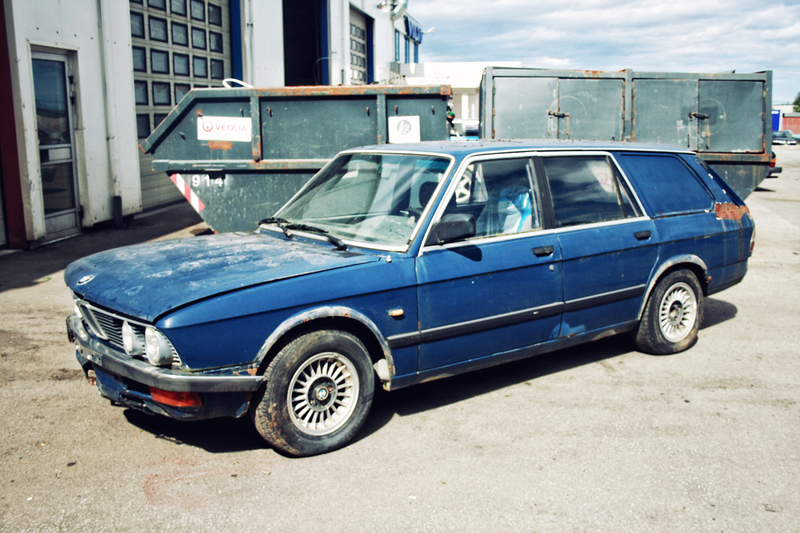 This extraordinarily clean wagon isn't a case of few owners and meticulous maintenance... It comes from Halfdan seeing the true potential of one incredibly rare car. This is a photo of Halfdan's Touring, albeit a blurry one, when he managed to get his hands on it. 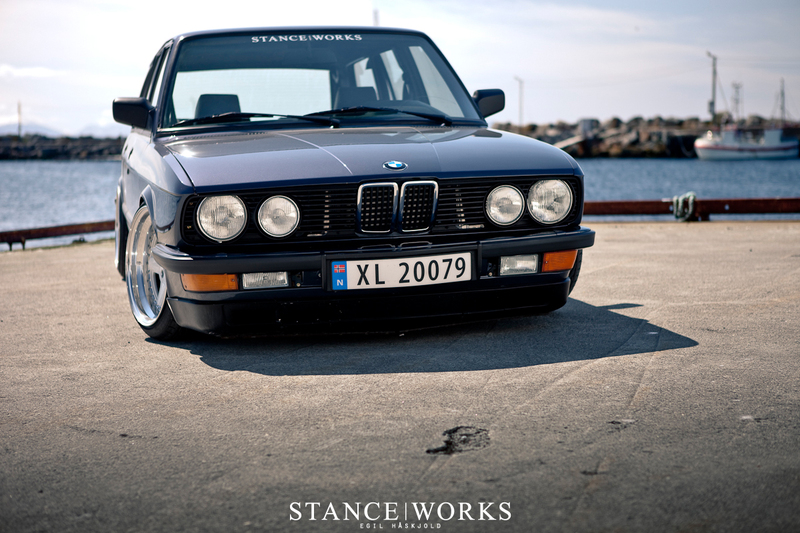 If you've never seen a BMW E28 Touring prior to this, that's because as stated, it was never actually offered by BMW. 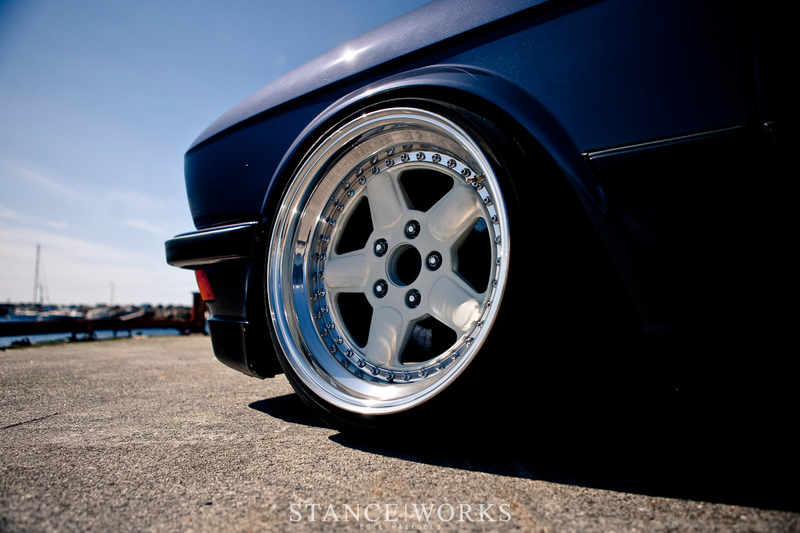 Schulz Tuning, a company slightly more well-known for tuning Mercedes Benzes in the 1980s, is responsible for a majority of the very small collection of BMW E28 Tourings in existence (there was one other company offering Touring-conversions, however it is said that their quality was rather poor). Halfden's particular car came with a paneled-in rear window and its fair share of rust and body damage; a basket case to say the least. Now, just a year after dragging this car out from underneath a tree where it had sat for 10 years, Halfden owns one of the cleanest E28s we've seen in a while. A full teardown and overhaul meant long evenings and longer nights for Halfden and friends. All of the rusty panels were cut out and replaced, or even custom fabricated, and the entire body was sanded down and restored to perfection; the paint color of choice was the E39's Fjordgrau Metallic. The running gear was overhauled, and everything replaced, while the tried and true M30 was given new life. And by new life, we mean much more than a valve adjustment and a good cleaning. What began as an original M30B34 was transformed in to an absolute monster. An M30B35 head was paired with a set of S38B36 individual throttle bodies, custom adapted by Halfden himself to fit the engine. 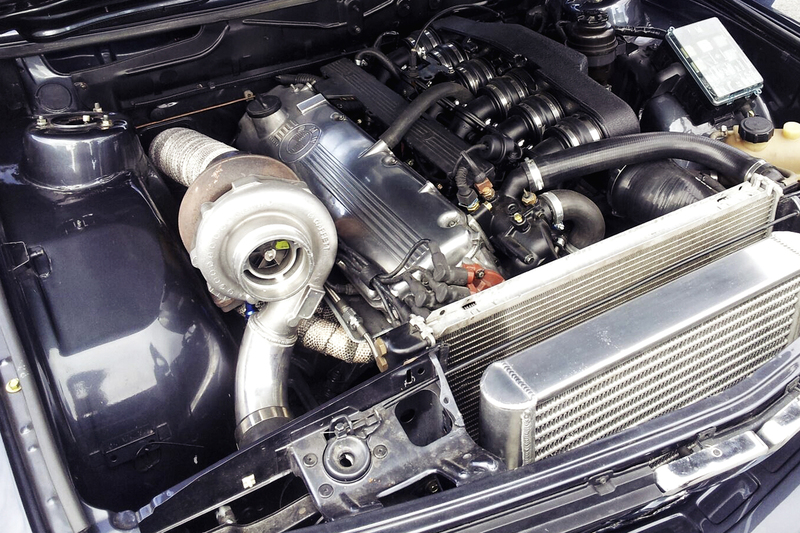 An Alpina B10 crankshaft spins the pistons around, which breathe exhaust through a custom manifold into a Garrett GT40 turbocharger. A set of GS Performance coilovers and M5 sways set the car up for some solid handling characteristics, and Halfden isn't afraid to put them to use either. If you scour the web, you'll find plenty of photos of the estate getting rather sideways on the track. When he's on the street, however, a set of 17x9 and 17x10.5 AC Schnitzer Type 1s give the car a perfect period-correct yet aggressive look. All in all, Halfden has taken one absurdly rare model, destined for BMW heaven, and brought it back to life. 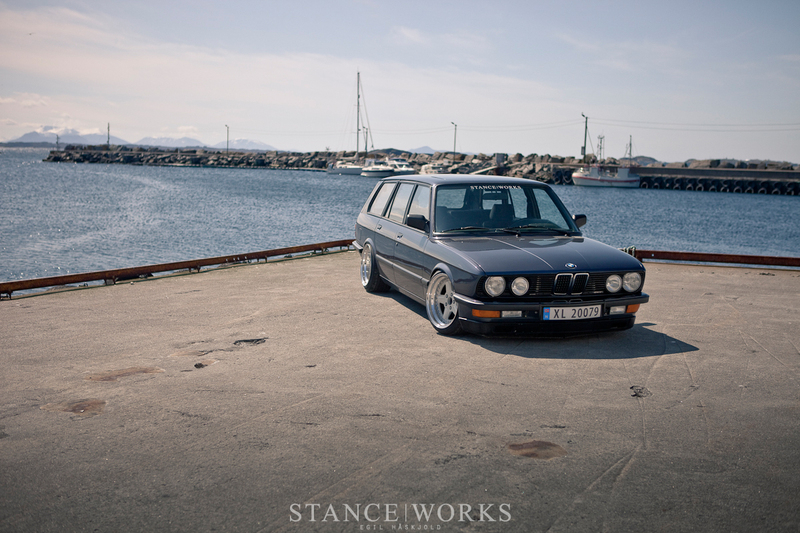 In my eyes, his 535 Touring is one of the coolest and most unique cars roaming the streets of Norway... and the rest of the world for that matter. I can only dream of getting my hands on such a beautiful and uncommon piece. It's far more enticing than most vintage Italian exotics in my eyes... but then again, it is just an '80s family station wagon.